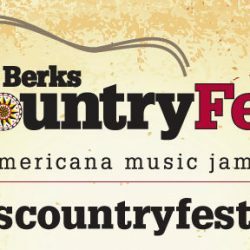 Editor’s note: bctv.org will feature a blog installation each Friday previewing a special segment of of Berks Country Fest: An Americana Jamboree! Guitar-A-Rama! Think of this show as a combination concert and master class extravaganza served up right in the heart of Pennsylvania’s Americana Region of Reading and Berks County! Everything below is part of one amazing afternoon of musicianship! One of the elements of Berks Country Fest: An Americana Jamboree that we’re most excited about is the annual gathering of world-class guitarists. Part of the ticketed “Americana Music Concert Series” under the overall umbrella of Berks Country Fest, Guitar-A-Rama, scheduled this year for Sunday, June 11, noon to 4pm, at Building 24, 1115 Bern Road, Wyomissing, PA, offers show attendees to enjoy fabulous guitar playing by multiple artists, each presenting an individual ‘concert within the concert’ showcasing their own unique talent and style. In addition to enjoying music, Building 24 offers a wide array of delicious food and beverages and the relaxed seating allows for enjoying food and beverages as you enjoy the show. It’s a perfect combination for an enjoyable afternoon. When not on stage performing, all of the guitarists will also just be hanging out with the audience enjoying the afternoon, and in very casual chat sessions, the guitarists will also offer playing tips and licks to anyone in the audience interested in learning. Audience members are encouraged to bring their own guitars if desired. What amounts to a personal “master class” from each of the performing guitarists will be offered in an individual break-out session room. This is an amazing opportunity to not only relax and enjoy some great music, but also pick up some useful guitar playing skills if you’re so inclined. Sponsored in part by the Reading Musical Foundation and the Customers Bank, for just $15.00 an audience member gets to experience the best of both worlds; great performances and the chance to pick the brain of some of the finest guitar players in the world. A single ticket for admission to a show by any one of these guitarists, not to mention the usual high price of personal master class sessions with such musicians, by far and away exceeds the modest $15.00 admission fee and this is because our festival production company, Pretzel City Productions, LLC, as well as the Reading Musical Foundation and Customers Bank, have banded together to make certain that Berks Country Fest always offers a “mentoring” concert session that makes music and learning to play accessible to anyone who is interested. Josh Taylor is the dedicated guitar teacher/performer who works with inner-city students to teach them guitar. Through an ongoing program funded by the Reading Musical Foundation, Josh works with the students. If the student has a perfect attendance record to their lessons and learns the instrument within specified guidelines, they are awarded their very own Martin Guitar at the end of the school year. The program has enjoyed almost perfect attendance and has produced some very fine players. Josh and the kids will open our Guitar-A-Rama show, giving you the chance to enjoy them and take pride in what they’ve accomplished, but also giving the students the extremely important opportunity to perform in front of a paying audience on the same bill with world-class guitarists. Through programs like this, Berks Country Fest: An Americana Jamboree, in Pennsylvania’s Americana Region, solidifies itself and the region as a nurturing ground for up and coming players who aspire to professional careers. 3:15 to 4pm: Final Jam. Unrehearsed, unscripted and raw, the “FINAL JAM” of each Guitar-A-Rama is when we invite all of the players up onto the main stage at one time for a last musical hoorah! Some of the most memorable moments happen when players from diverse backgrounds and styles fuse together as one to perform. Fueled by members of the audience and creative drive, if the Guitar-A-Rama Final Jam was the only thing that happened for the ticket price, it’d be well worth it. Audience members are invited and encouraged to take photos and videos of this once-in-a-lifetime musical happening.